Most blockchain projects are aimed at raising funds and generating profits with meaningless products, but some of them are designed to help those in need, through joint efforts of the community, solve acute social problems and conduct non-commercial activities in the fields of ecology, health, and education. The blockchain technology and smart contracts make it possible to take part in resolving global problems, including transferring donations to any part of the world, making this process relatively transparent and fair. As the year 2018 finished, I had enough time to reflect on all projects we met, seen or touched throughout all verticals, but focused on social good. From how the cryptocurrency donations can affect the salvation of the protected zones of the world ocean, to fight against censorship and stop aging. This topic is specifically close to me, as it highly reflects on the joint efforts from all team members in Humaniq. That is why our project will not be mentioned in this article, to focus more on the market, rather than on self-esteem. Charity is an integral part of our world, and the natural desire to help our neighbors or together to solve a global problem is an indicator of a high level of spirituality and humanity. It is not surprising that many funds from various fields use cryptocurrencies or develop their own platforms, focused on creating an honest and transparent environment for philanthropists. This approach is a great way to solve two main problems of non-profit organizations: to ensure public control over the spending of funds and to preserve the anonymity of donors since many of them want to remain incognito. The use of blockchain-based payment instruments in the field of charity is not always a positive factor. A high degree of anonymity and the inability to track transactions are often used for fraudsters to deceive the gullible philanthropists. Not carrying out activities that are useful to society, but collecting funds from benefactors, they exploit the main advantages of blockchain technologies for their own profit. The key to solving this problem is to introduce reporting on the blockchain for each link of the charity chain. A crypto fund or a social organization, after receiving funds from users, may report where they went, but then the trail is lost. What was bought for these funds, where they are directed?—?so far all this is confirmed by “classical” methods. In order for charity on the blockchain to really work, all participants must not only be familiar with the technology but actually use it: in clinics, foundations, orphanages, charitable organizations. Of course, in time this will become possible, new mechanisms will appear, but this will take more than one year. Nevertheless, the difficult work of volunteers of charitable organizations is facilitated by the introduction of blockchain technologies. Many global problems can be solved by the joint efforts of the caring public, and the creation of a transparent environment for monitoring the activities of NPOs will help attract new participants. The non-profit foundation Freedom of the Press Foundation began accepting donations in Bitcoin, Ethereum, Litecoin, and ZCash, which are automatically converted into fiat currency. This initiative is actively supported by FPF Executive Director Trevor Timm. He believes that decentralization is an excellent tool for combating censorship and the oppression of journalists by the authorities. Journalists around the world suffer to one degree or another from power restrictions, and many of them are under threat of arrest and persecution. The FPF Foundation allows them to cope with difficulties: it pays the costs of lawyers, provides software to protect personal information and attracts authoritative publications to loud scandals related to the infringement of the rights of media workers. The protection of civil rights and freedoms on the Internet is also engaged in the Electronic Frontier Foundation?—?one of the oldest specialized organizations that have been accepting donations in Bitcoin since 2013. Funds received from philanthropists are used to support the company’s main tools and develop new solutions to ensure anonymity in the global network. The Internet Archive Foundation is a non-profit company founded by Brewster Keil in San Francisco that archives copies of web pages, graphics, audio, video, and software. The main task of the fund is to provide free access to stored information, the volume of which is already in the tens of petabytes. And although the Internet Archive does not use blockchain technology to organize the storage of such a huge array of data, it accepts donations for the development and support of the project in Bitcoin, Bitcoin Cash, Ethereum and ZCash. Projects aimed at solving acute social problems occupy a significant share of the non-profit segment of the crypto industry. Those who have become hostage to circumstances and extreme situations of life can be helped by the work of a number of funds and organizations. For example, the Common Collection accepts donations in bitcoins to help disaster victims and refugees from hot spots, regularly providing real-life reports on saved lives. The World Food Program can also be supported by bitcoins. That is why the blockchain project Building Blocks was launched. Contributions to the charity fund are aimed at helping Syrian refugees in Jordan. They no longer need to use paper vouchers: they can go to the grocery store, where biometric scanners are installed, and take products from the fund. All information about the purchase will be entered in the blockchain. Last Door is a rehabilitation center located in Vancouver. He accepts donations in Bitcoin and Bitcoin Cash cryptocurrencies. The last Door not only helps alcoholics and drug addicts get rid of their addiction but does everything possible so that they can join the society. Workers are engaged in the mental and emotional health of their patients. In addition to social support, the center helps wards to find work. The Giftcoin and Humancoin projects do not carry out direct charitable activities but were created to facilitate the interaction of patrons with NGOs. The platform structure allows charitable organizations to attract funding, and other project participants to control the flow of funds received. The phased transfer of cryptocurrency to NCOs is implemented using smart contracts. 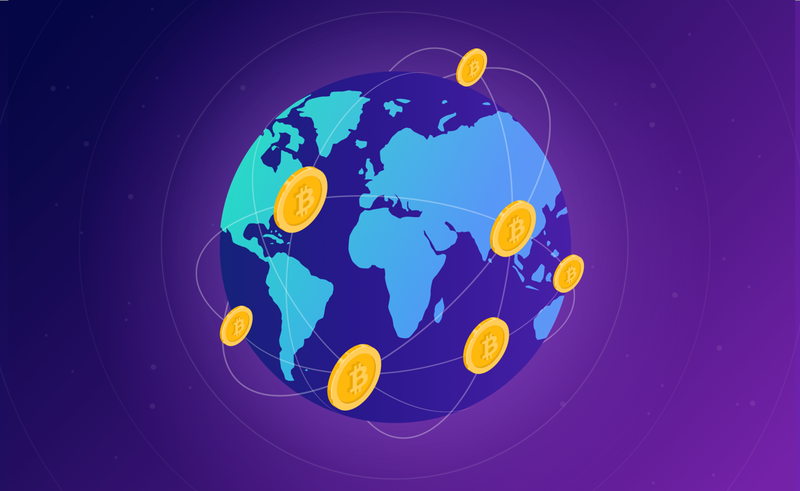 In addition to specialized projects, it is worth noting the funds that collect and distribute donations in cryptocurrency. For example, the BitGive Foundation collects Bitcoin and sends digital money to projects in the fields of ecology, health, and education. Users can find out where exactly the money was spent. An alternative way to raise funds is offered by the WHIRL social platform: each participant can start raising funds for any event or project in the field of science, education, art, philanthropy, or for his personal needs, traveling or paying for expensive education. To start a fundraising campaign, the user must first support any of the existing campaigns and earn Karma?—?the digital equivalent of trust on the platform. You can get Karma by supporting the currently active campaigns. The higher the user’s karma, the more money he can collect. WHIRL focuses on several projects, while others wait in line: thanks to this, community funds do not diverge across hundreds of campaigns. A crypto project Pineapple Fund, which was organized by an unknown person under the pseudonym Pine, donated 5057 bitcoins to 60 charitable platforms in various fields of activity (health care, education, emergency aid to the victims, environmental protection) for the year. Pineapple Fund has a well-deserved reputation as an honest and open fund that has made a significant contribution to solving specific social problems. Celebrities do not stay away from charity. So, the well-known model and philanthropist Natalya Vodyanova launched the $ 1 LoveCoin token in the Elbi mobile app. When a user makes a donation, he is rewarded with a cryptocurrency. It can be used to buy designer items in the built-in store LoveShop. The World Identity Network is an initiative of Marianne Dahan who advocates state participation in the creation of blockchain passports and the transfer of personal data into “blocks”. It is planned that the platform will help people who have problems with the identification and recovery of basic personal documents. Researchers sponsored by SENS are working on the question: is it possible to stop aging. They develop drugs and treatments for diseases that are somehow related to aging. Financial assistance is accepted in fiat currency, Bitcoin, Ethereum and Litecoin. The team conducts research in its own laboratory in California, studying the treatment of diseases of the heart and eyes, genetic changes and cell aging. Many non-profit projects are designed to make education more accessible. The Social Alpha Foundation, founded in 2017, accepts material assistance in cryptocurrency: the funds raised are used to award grants to projects that are engaged in social support and training for the blockchain technology. The size of the grant ranges from $ 10,000 to $ 100,000 and depends on the decision of the jury, which conducts an interview with the applicants. According to Forbes, the Social Alpha Foundation raised about $ 1 million in less than a year. One grant of $ 30,000 went to the Social Impact hackathon winners at the Impact Summit. It was attended by 350 students from IT departments: they showed how their technical knowledge can help in solving social problems. Code to Inspire is a foundation from Afghanistan, established in 2015. With the money raised, he organizes training groups for Afghan women who want to gain knowledge in programming and online business. Since its inception, the foundation has helped hundreds of women receive technical education, and the number of female students continues to grow. Donations are accepted in fiat currencies, as well as in bitcoins and on the air. Interestingly, Code to Inspire is not limited to basic IT education: in July 2018, together with the Bounties Network, the foundation launched a project designed to teach students to work with Ethereum and smart contracts based on it. Millions of people in the world do not have access to clean water: this invariably leads to outbreaks of epidemics and high mortality. Clean Water Coin is designed to help those in need in Africa and other regions of the world. This project is a regular multi-currency wallet for cryptocurrencies, but one-tenth of a percent of each transaction performed using the application is sent to the charity foundation CharityWater.org. This fund supplies clean drinking water to arid regions of Africa and other regions of the planet where people have difficulty accessing freshwater. The BANKEX platform introduced the WaterCoin token to users, which initially cost $ 0.02, which equals the price of a litre of clean drinking water. Now the only distribution point is in the Kenyan city of Narok: it supplies about 1,000 residents with tens of thousands of litres of drinking water. The main advantage is the absence of intermediaries: all material assistance goes directly to the main point. Mission Blue was created under the direction of marine biologist Sylvia Earley to conduct research on the reef ecosystem of the seas. The collected data will be stored on the blockchain and will allow you to analyze and save a variety of unique, untouched places. With the help of donations and investments in cryptocurrency, the project implements various environmental protection programs and protects key conservation areas of the world’s oceans. One of the tasks of Mission Blue is to raise funds using cryptocurrency micro investment for the implementation of environmental programs for several protected areas of the world’s oceans, the destruction of which would have a very negative impact on global diversity of species. Is Blockchain Social Network The Answer to Securing User Data Online?